Ok so this week we’ve seen snow, storms and plenty of downpours and that’s why these Ciate nails that my friend Aly sent me are just perfect for today’s post! I’m a huge fan of Ciate nail polishes. They only need one coat and the polish is lovely and thick. 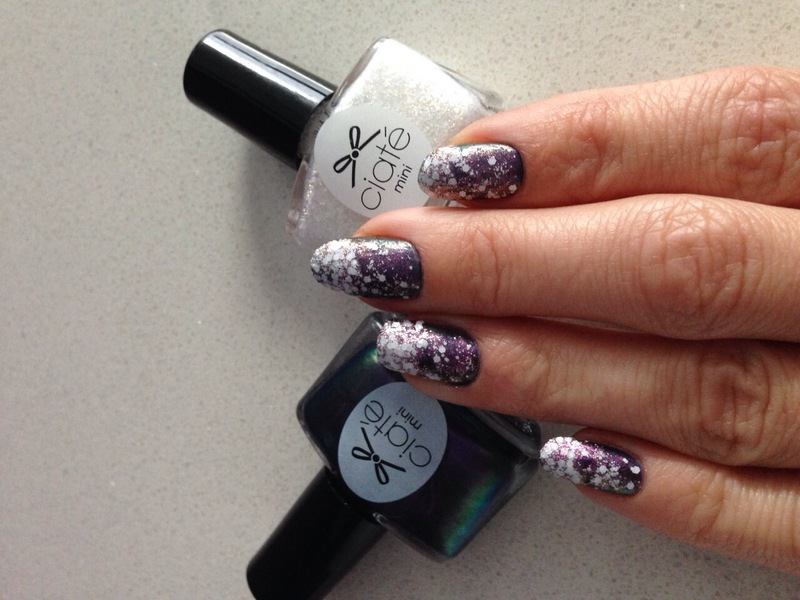 Aly sent me this pic a couple of weeks ago and chose a gorgeous purple as her base with a little iridescent sparkle and a white glitter, similar to the Nails zinc Snowflake polish, over the tips so it looks like blizzard going on on your nails! Fun. Cute. Eye catching. I love them!